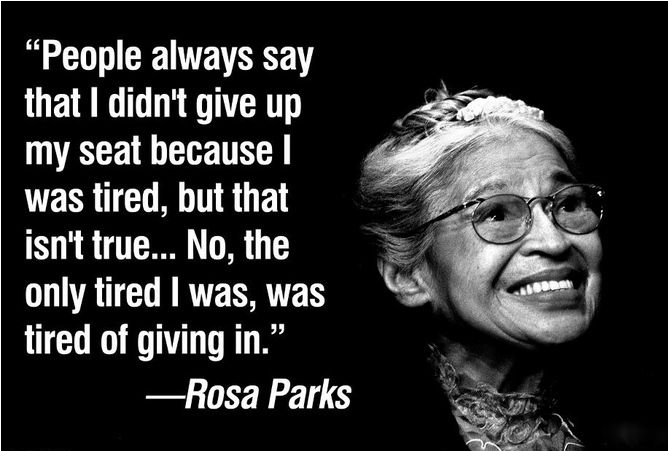 Rosa Parks, the 'First Lady of Civil Rights", the "Mother of the Freedom Movement", died 11 years ago today, at the age of 92. 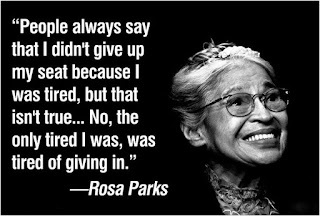 She was the woman who's refusal to vacate a Alabama bus seat for a white person led to her arrest, which led to the mass Montgomery Bus Boycott which became important symbols of the modern Civil Rights Movement. In the a United States Supreme Court decision that declared the Alabama and Montgomery laws requiring segregated buses to be unconstitutional - which led, step by step, to the ending of Racial Segregation Laws across the United States. She became an international icon of resistance to Racial Segregation. "I did not want to be mistreated, I did not want to be deprived of a seat that I had paid for." "It was just time... there was opportunity for me to take a stand to express the way I felt about being treated in that manner." "I had not planned to get arrested. I had plenty to do without having to end up in jail. But when I had to face that decision, I didn't hesitate to do so because I felt that we had endured that too long." "The more we gave in, the more we complied with that kind of treatment, the more oppressive it became. It is hard to under-estimate the debt we owe this lady. 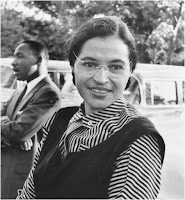 "The first four rows of seats on each Montgomery bus were reserved for whites. Buses had "coloured" sections for black people generally in the rear of the bus - although blacks composed more than 75% of the ridership." "Black people could sit in the middle rows until the white section filled; if more whites needed seats, blacks were to move to seats in the rear, stand, or if there was no room, leave the bus." "Black people could not sit across the aisle in the same row as white people. The driver could move the "colored" section sign, or remove it altogether." "If white people were already sitting in the front, black people had to board at the front to pay the fare, then disembark and reenter through the rear door. 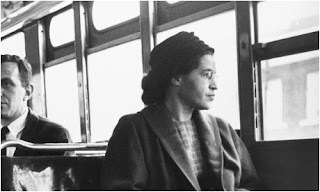 On some occasions bus drivers would drive away before black passengers were able to reboard."